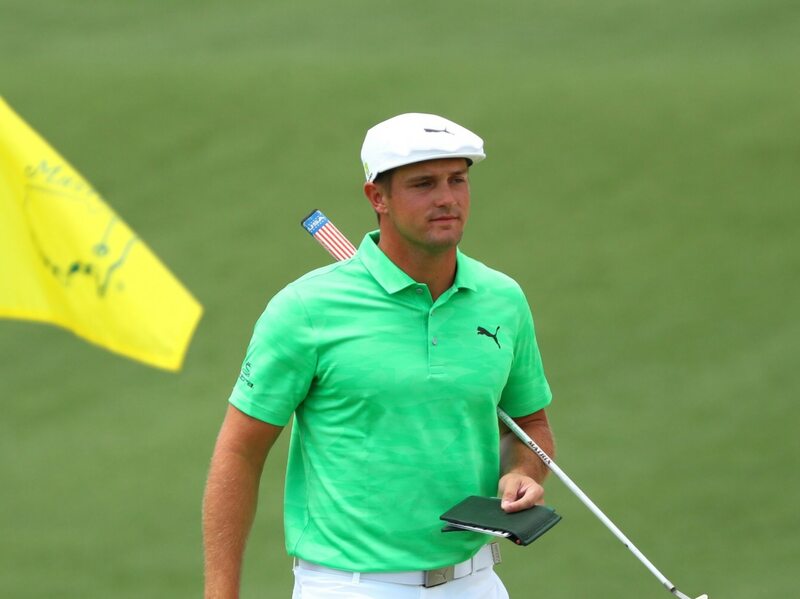 When Bryson DeChambeau birdied the par-five 15th, he was having a good opening round. What he did over the next three holes made it even better. It started on 16 — a hole that has provided plenty of excitement at the Masters over the years. DeChambeau nearly aced the exciting par-three and made his second birdie in a row. DeChambeau’s run of birdies appeared poised to stop at two in a row when his second shot on the par-four 17th missed the green. But golf’s mad genius had other ideas and chipped in for a third birdie in a row. DeChambeau’s approach shot on the 18th came in hot. Fortunately, it was right on line. The ball slammed right into the center of the flagstick. While it didn’t go in, it did stop right next to the cup. DeChambeau kicked it in for his fourth straight birdie and a share of the lead. That’s finishing in grand style.